Last Friday I attended a free training seminar by Steve Buiskool at Sandler Training in Cheltenham (even us copywriters in Cheltenham are allowed out occasionally). The seminar was on how to avoid giving away consultancy for free during the sales process. Steve broke with convention and gave us his feedback form early on to demonstrate an interesting point about filtering out the serious nos to your approach at an early stage. The logic? This leaves you free to focus on prospects with whom what you say really resonates. This idea, manifest in the big, bold ‘YES’, ‘NO’, ‘THINK ABOUT IT’ on Steve’s feedback form, struck a chord with me. That’s because, the night before, I’d been reading Seth Godin’s Small is the New Big. In particular, the section titled ‘“Maybe,” getting people not to say’ (page 131). It’s an interesting tale of a saleswoman who flies across North America to make a sales call on a major company. She battles with indecisiveness in a corporation led by a business visionary and can’t get the buying team to say either ‘yes’ or ‘No’ to a sure-fire winning proposal. Eventually, she leaves without the sale but with, as Godin explains, a great lesson on how to make change happen (or not) in organisations. I’ll say no more than to urge you, if you haven’t already done so, to read Godin’s book and enjoy this piece. Business-to-business marketing is just marketing to consumers who happen to have a corporation to pay for what they buy. The quality of Godin’s thinking and writing hit a note with me too and reminded me of the mentoring I got from Mike Rigby at MRA nearly 10 years ago. As I’ve said elsewhere, Mike’s coaching, guidance and passion for editing, editing and editing have served me well ever since. So that’s how Steve, Seth and Mike resonated with me in the last week. If you haven’t already done so, buy yourself a copy of Small is the New Big (I got a pre-owned copy for a penny plus postage on Amazon). Then see what resonates with you. This entry was posted in Uncategorized and tagged b2b copywriter, cheltenham copywriter, copywriter, copywriters in cheltenham, freelance copywriter, freelance copywriting, gloucestershire copywriters, mike rigby, mra, sandler training, seth godin, small is the new big, steve buiskool on October 30, 2012 by alwrites. I was dead chuffed to be mentioned in a recent blog post by Bristol-based public relations guru Robert Fenner of Lyon Communications. Based on a conversation over dinner at Nailsea’s Posh Spice restaurant, he identified us as ‘in-betweenies’. That makes us members of a generation whose careers have bridged traditional ‘hard copy’ and online digital worlds – and who have the skills of both. It was great to see Robert thirty-plus years after last meeting at Cambridge. Our catch-up came after I attended one of his excellent DIY PR training seminars with Business West. Thinking about the differences between us in-betweenies and today’s young blood got me thinking about the challenges facing youngsters coming into copywriting. As someone who’s probably among the more experienced copywriters in Cheltenham, it’s easy to take for granted the decades of sales, marketing and writing experience that underpinned my decision to go freelance in 2006. Although I’ve always enjoyed writing and wrote regularly as part of my earlier sales and marketing work, it took me the best part of 15 years to get into copywriting full-time. And when I went freelance I was fortunate to have several years of valuable copy creation experience on top of my education in the University of Sales & Marketing life. But what of today’s graduates? We all know it’s tough for young people to get into copywriting. At the same time, it’s clear that many of them, unable to get employment, are trying alternative directions – including freelancing. Hardly a month passes without getting an email enquiry from a graduate looking for work experience, shadowing or a placement. Because one of my USPs is that I don’t subcontract or employ anyone, I can’t offer work. And for other reasons, shadowing isn’t viable either. So I do the next best thing and draw on my experience to offer support and advice. So what’s the answer if you’re a twenty-something with a good arts degree, limited work experience and a hunger for a copywriting career? Despite the current economic climate, this Cheltenham copywriter firmly believes the ideal route is still to get a job in a quality marketing environment. It’s a great way to learn, to broaden your marketing and business perspectives, and to get specific sector knowledge. I also believe that everyone who aspires to a career in copywriting should work in a pure sales role at some point. Armed with that, newbie copywriters are in a much stronger position to progress as employees or take the plunge into freelance copywriting life. Whether you’re employed or not, the next thing I suggest is to do some pro bono work for a charity or similar organisation. Smaller regional charities should jump at the offer of some enthusiastic volunteer support. Complement this with blogging or work on your own website and your getting valuable experience and creating valuable portfolio content. It’s never too early to start building your network, especially among friends, family and their contacts who already know of you. The key thing is to find a way to write: regularly, enthusiastically and with passion. At the same time, use the Internet and other reference sources to build knowledge of the main industries and business sectors. That way you’ll be up to speed when a freelance opportunity arises. And if you have a sector specialism (perhaps from part-time work you did while studying), build on that too. It’s hard to take the freelancing plunge and doubly challenging when you don’t have the years of solid experience that we in-betweenies have built up. But if you’re determined to make it, have a modicum of raw ability and are prepared to study, network and take responsibility for your future, I’ve no doubt that you can craft a rewarding freelance career. It took me a couple of decades to get to my life’s work in a freelance capacity. But it can be done and the future of our industry is counting on you and your peers. When the in-betweenies like Robert and I have put away our pens and keyboards to watch the sunset from our rocking chairs, we’re sure that freelance copywriting will be in safe hands. This entry was posted in Uncategorized and tagged aspiring copywriters, copywriter, copywriters in cheltenham, freelance copywriter, freelance copywriting, gloucestershire copywriters, lyon communications, robert fenner on October 22, 2012 by alwrites. It’s been there for a while, an attempt to persuade Gloucestershire organisations that they don’t need a Gloucestershire based copywriter… When you dig a bit you discover that there’s also an identical page for most of the main urban areas and regions of the UK. Good thinking. As it happens, as well as lots of organisations having a policy of working with local suppliers, many of my clients actually agree that local’s often best. They like the responsive service that, as a copywriter in Cheltenham, Gloucestershire, I provide for organisations in the county and its neighbours. They also love how I’m just down the road and won’t hit them for a huge fee to come over for a meeting. And, no, wonderful as they are, Skype, phone conferencing and other technologies aren’t always as good as a face-to-face briefing or fact-finding meeting. Anyway, back to those Google search results. The other day I noticed that the secondary text line under this particular result actually contradicts the landing pages’ argument that a local copywriter isn’t necessarily best for Gloucestershire. We’ve always known that Google can be a bit fickle when inserting this particular text. Sometimes it picks up on the Meta-description tag; for another page it’ll draw text from within the page itself. That’s what’s happened this time and, as the image below shows, Mountain View’s finest really has excelled itself! So, if you’re in or near Gloucestershire and you want to make sure your copywriting or copy-editing project turns out as you’d like, just contact this Gloucestershire copywriter. This entry was posted in Uncategorized and tagged cheltenham, copywriter, copywriters in cheltenham, freelance copywriter, gloucestershire copywriters, google, local copywriters, london copywriter on October 15, 2012 by alwrites. 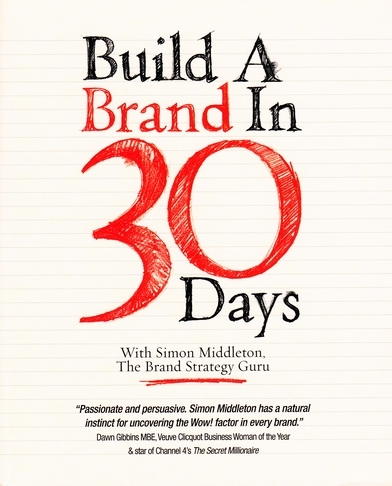 I’m currently engrossed in Simon Middleton’s book, Build a Brand in 30 Days. It’s good, very good (albeit, rather surprisingly, with a few distracting ‘hidden assassins’ in the form of typos). I happen to be comfortable with words, and I’ve been writing in one way or another for my whole life. So I wouldn’t dream of letting anyone else write my media releases, or my blog, or my website. That’s a Cat I skill for me. But you might not feel skilled and at ease with writing. So don’t struggle with it. Don’t. For you it’s Cat 2. 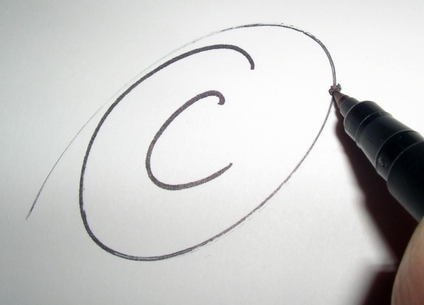 Find a freelance copywriter to do all that for you. There’ll be one in your town. Check out a few. A lot of them are really good, and they’re nowhere near as expensive as wasting hours trying to do yourself something which isn’t you. Funnily enough, even though I love to write, and I think I’m best placed to write about the subject area in which I am working (i.e. branding) I have recently hired a very good freelancer to write the news stories for my monthly newsletter because of my growing workload, and because she researches and writes the stories more quickly and cost-effectively than I would be able to do. There was bit of an emotional hurdle to get over in giving up a task which was so clearly Category I for me; but sometimes you just have to look at the bigger picture. Nice one Simon. Well said. Music to my ears. So, if you’re in or near Gloucestershire or surrounding counties and you don’t have the time, the specialist skills or the inclination to do your own marketing, PR, SEO/website or technical copywriting, give one of the copywriters in Cheltenham a call – preferably me please! This entry was posted in Uncategorized and tagged build a brand in 30 days, copywriter, copywriters in cheltenham, freelance copywriter, gloucestershire copywriters, simon middleton on October 10, 2012 by alwrites. But I digress. Back to ‘copyrighter vs. copywriter’. Here’s where you can read more about my Google experiment and the practical differences between a ‘copyrighter’ and a copywriter. This entry was posted in Uncategorized and tagged copyright, copyrighter, copywrite, copywriter, gloucestershire copyrighter, gloucestershire copywriter on October 5, 2012 by alwrites.